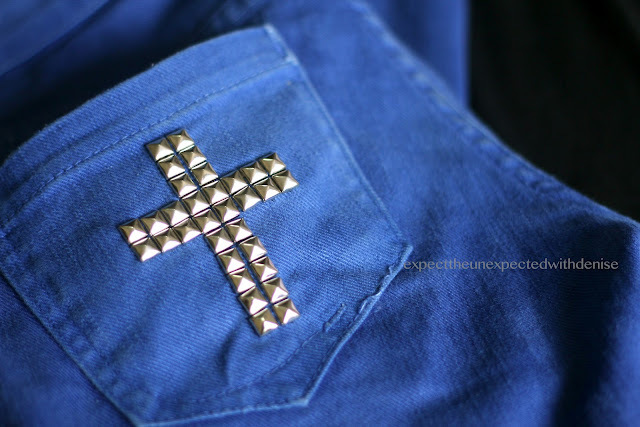 Studs with prongs or 'teeth' as I call them haha! 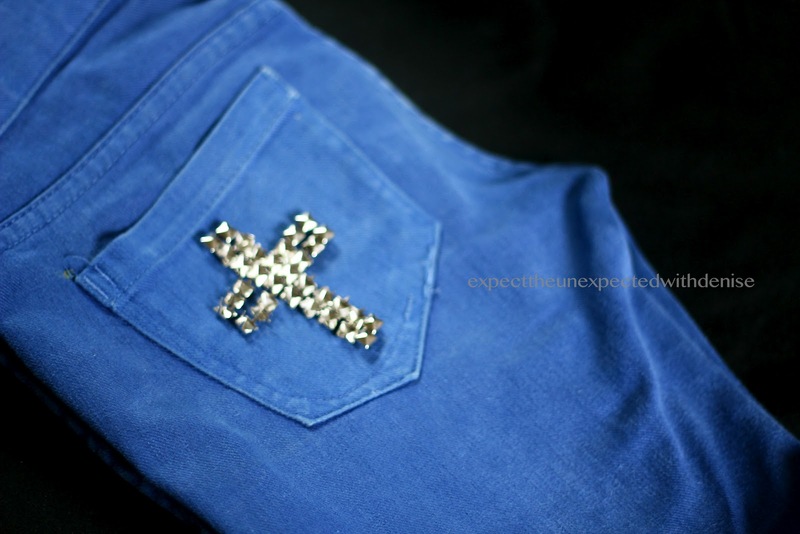 Align the studs on top of the pocket to create your desired studded cross design. push the ends down to lock them in place. 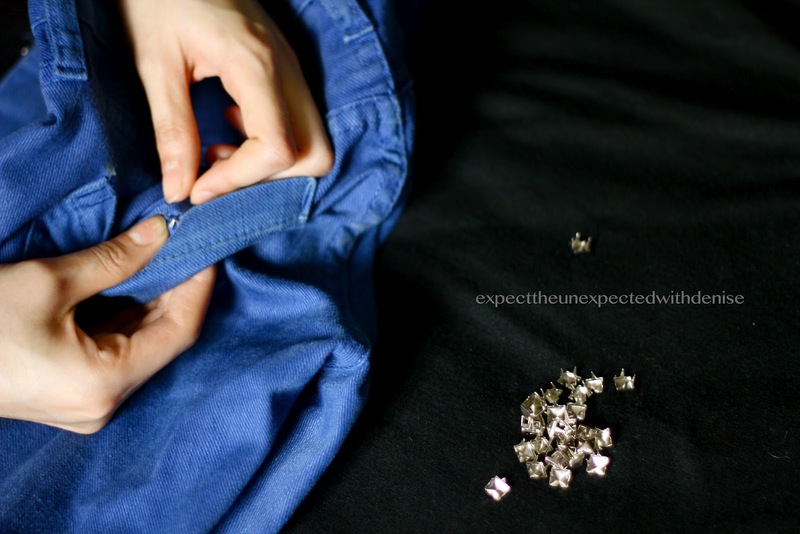 Just remember to add these studs in thick types of cloth so that you'll be safe from the metal prongs. So... here's me doing this DIY on a Friday morning! (Excuse the whole I'm-just-chilling-I-just-woke-up-and-now-I'm-doing-a-diy-post look) Haha! 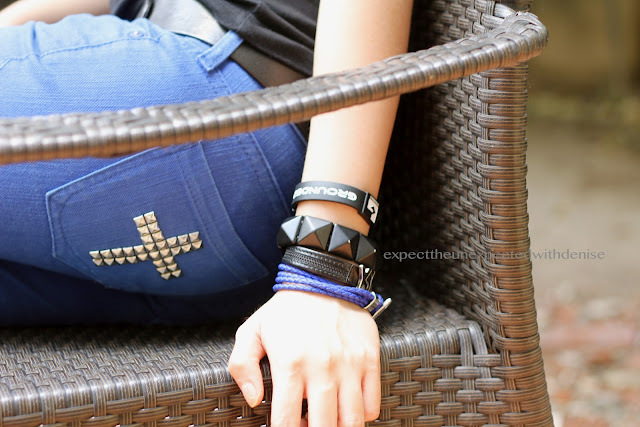 Who says style can't be on a budget? Look stylish with just a bit of alterations! Great things come from the craziest ideas. 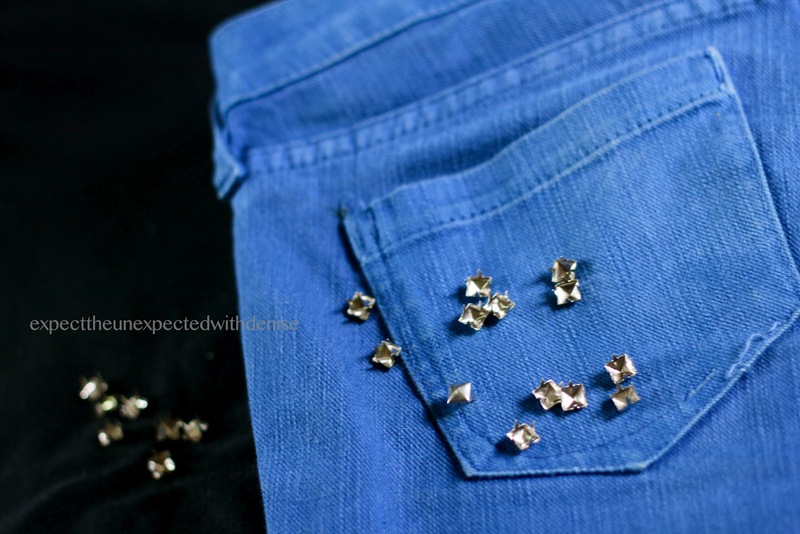 So, try this DIY now and turn an 'old nothing' into a 'stylish something'! Where can I get those "teeth?" Hi! 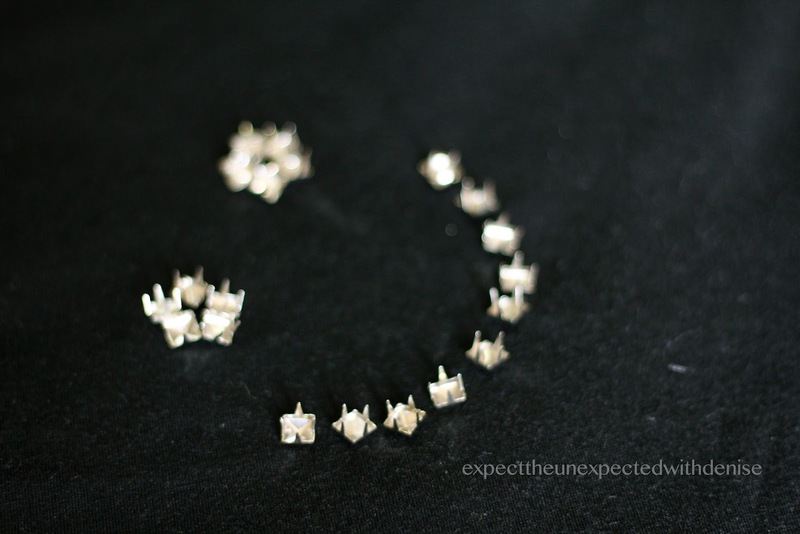 I was wondering where you order you studs here in the Philippines?